They actually brought home a container of crab claws as a souvenir for me…haha! 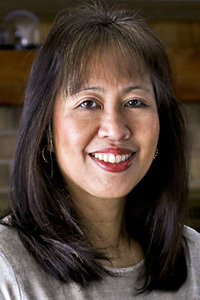 Now, ain’t that sweet? Totally love their thoughtful gesture because they know Mom is always thinking of different kinds of food to post on her blog. I believe those cocktail crab claws were from blue crabs just like this one. 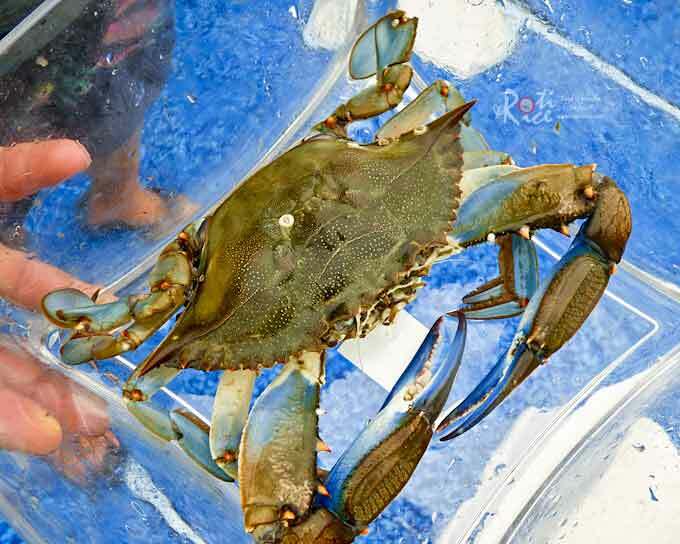 In Malaysia, blue crabs are often cooked in a spicy or curry sauce. Their flesh is very tasty and lighter than mud crabs. I asked the guys how they would like the crab claws prepared, “Asian or Western?” The answer was a unanimous, “Asian!” Since the crab claws were quite small, I figured it would be easier to have them arranged nicely on a platter with the claws ready to be picked up. As such, instead of stir frying them in the sauce, I poured the sauce over them so that it would not be too messy holding the claws and eating them. The other thing about these crab claws is that they have been precooked. I simply heated them through by scalding them in boiling water. 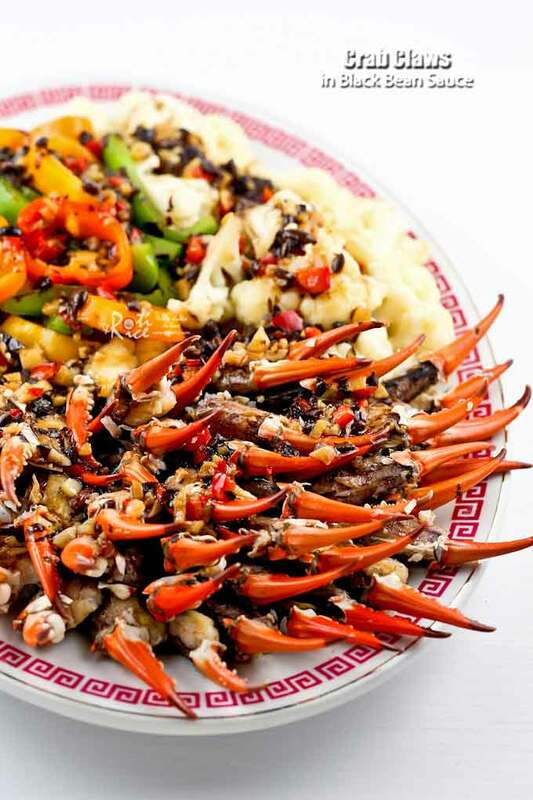 If you are using raw crab claws, please boil them for a longer period of time or you can simply stir fry them in the black bean sauce until they are fully cooked. 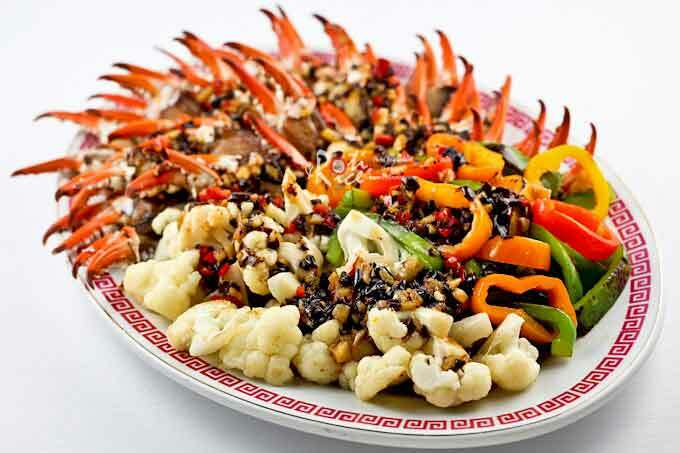 A good substitute for the crab claws is shrimp as black bean sauce is delicious with most seafood. Scallops, mussels, or calamari will also work. Bring a pot of water to boil. Place crab claws in a strainer and lower it into the boiling water. If crab claws are precooked, allow them to heat through for 1 to 2 minutes. 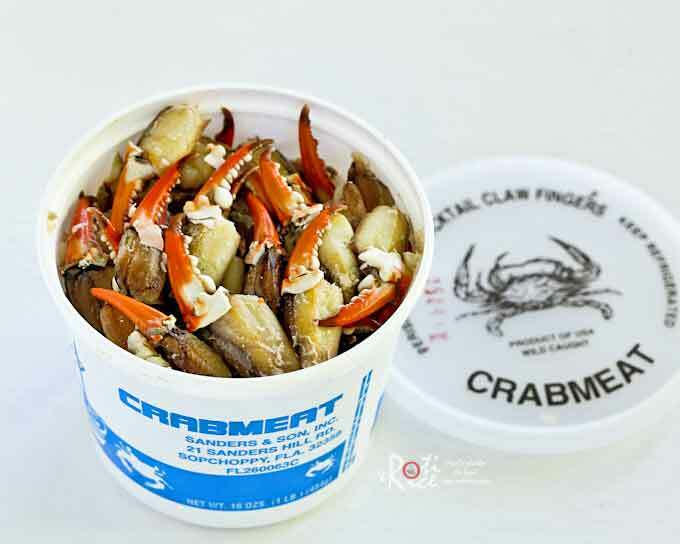 If crab claws are raw, allow them to cook until shells turned red. Depending on the size, it should take between 2 to 5 minutes. When crab claws are cooked, lift strainer from boiling water and allow it to drain. 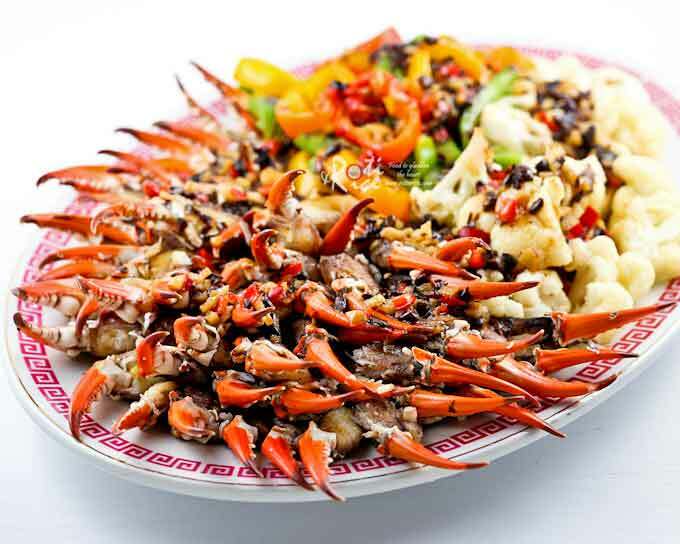 Arrange crab claws to one side on a large platter. Heat 1 tablespoon vegetable oil over medium high heat. Sear cauliflower florets for 2 to 3 minutes. Remove and place to one side on a large platter. Do the same with sweet and green bell peppers. Heat remaining 2 tablespoon vegetable oil to the wok. Saute chopped red chili, ginger, black beans, and garlic for 2 minutes. Pour in cornstarch mixture and allow it to come to a boil. Sauce will thicken. Season with salt. Turn off stove. Pour sauce over crab claws and seared vegetables. We really enjoyed these Crab Claws in Black Bean Sauce. Many thanks to Ro-Taro and Ro-Jiro for bringing them home.